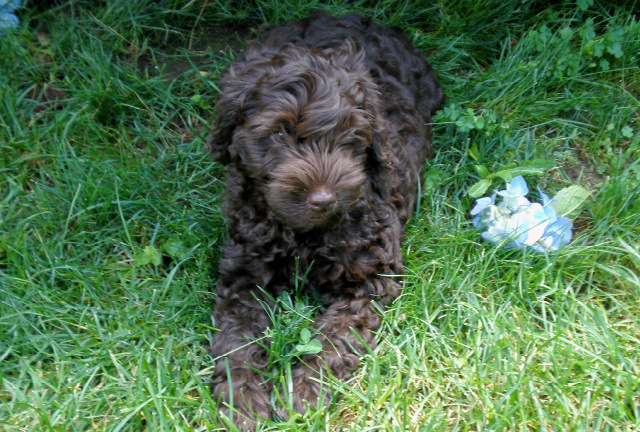 Congratulations on your choice to own a Tip of the Shore Labradoodle (TOTSL). We take pride in breeding genuine multigenerational Australian Labradoodle puppies that are authentic representatives of this remarkable breed. We are service oriented and are available to answer all your questions and concerns throughout the life of your dog. Puppy applications received by TOTSL are registered on a first come, first serve basis. This is dictated by the date & time the application is submitted online or received via US mail at the address listed below. Applications fully completed and received by TOTSL will be reviewed immediately. Applicants will be contacted via telephone once the application is received. Your application is secured by a $300.00 deposit via PayPal, accessed directly on the TOTSL webpage under PAYMENT. This deposit will be applied to the price of your puppy. 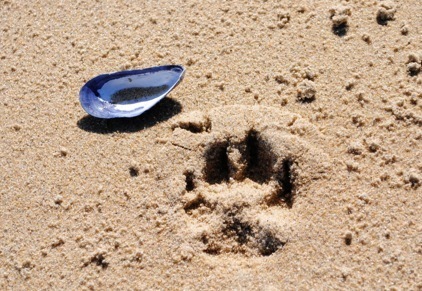 You will be contacted via e-mail within 48 hours when your deposit has been received by Tip of the Shore Labradoodles. You will then be placed on a reserved list for a desired litter that fits the profile of the dog that you have requested. Should the timing of the litter chosen not work within your time frame, your deposit will roll to the next available litter that best suits your needs as indicated by your application. You will be contacted ten days after the litter is born. Puppy pictures will be e-mailed to you weekly including specific information on the litter of your puppy. A puppy packet will be e-mailed five weeks after the litter is born. It will include training tips and suggested items for you to obtain before you pick up your puppy. You will be informed of the brand of kibble that your puppy is currently enjoying so you may continue with this food regime for an easy transition from our home to yours. At week six you will be informed which pup is yours based on the temperament of the dog and your specific profile. The price of a Tip of the Shore Labradoodle puppy is $2,950.00 USD. The balance of the full price of the puppy equaling $2,950.00 must be received by Tip of the Shore Labradoodles one week before pickup of your puppy. Money not received or checks not cleared by pickup date will prohibit delivery of your puppy on the pre-established delivery date. Final payment to TOTSL may be made by PayPal or personal check. Bank issued cashiers check is another form of payment that may be presented on the day of pickup of your puppy. Massachusetts sales tax is 6.25%. The sales tax on $2,950.00 USD is $184.38. The entire purchase price of a puppy with sales tax is $3,134.38. Puppies are micro-chipped, vaccinated at six weeks and de-wormed three times while at TOTSL. All puppies receive a comprehensive physical exam by TOTSL Veterinarian to insure pup is healthy before going to it's forever home. Puppies are extensively socialized by Jackie and her staff at TOTSL teaching the pups essential early socialization skills with a variety of people. A Veterinarian of your choice must examine your TOTSL puppy within 72 hours of time of pickup excluding Sundays. Information regarding birth and vaccine history will be provided for you to present to the Veterinarian of your choice. Tip of the Shore Labradoodles prides itself on personal service. We are available to you as a resource for support and information throughout the life of your dog. Should ANY unexpected circumstances arise, Tip of the Shore Labradoodles will accept the return of any dog sold for the purpose of re-homing during any time of the dogs� life. To have a realistic expectation of what is involved in having a puppy and being committed to being a conscientious dog owner for the life of the dog. To accept responsibility & the commitment necessary to fulfill your dogs well being. To fully understand that the ownership of a dog includes ongoing expenses and veterinary care for the life of your dog.